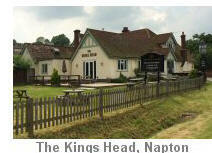 This easy 6 mile circular walk starts at The Kings Head, near Napton on the A425 where you can obtain refreshments. (There is some limited verge parking on Tomlow Road if you are not taking refreshment at the pub). The route soon joins The Millennium Way along the Oxford canal then across flat farmland & open countryside, turning south to follow the Grand Union Canal and Oxford Canal providing a feast for those interested in narrow boats and history of our canal network. There are some easy stiles and the walk is dog friendly apart from some farm livestock. 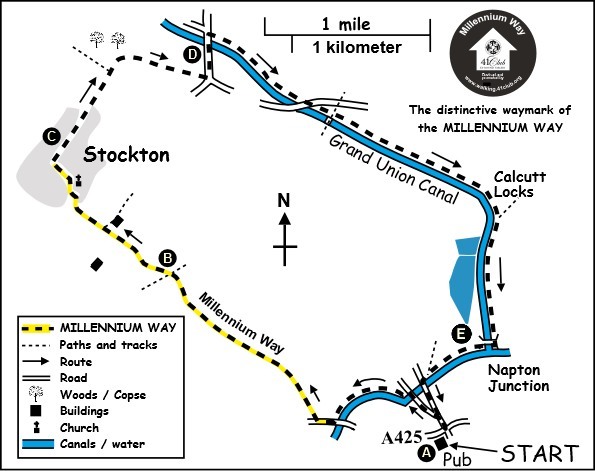 For the first part of the walk, you will enjoy the delights of The Millennium Way where you will be guided by the distinctive black Millennium Way waymarkers. Find out more about the walk by clicking on the information icon. Our walk starts from The Kings Head, near Napton, on the A425. Exit from the pub car park to main road and turn right for a few yards to reach the crossroads. Here turn left into Tomlow Road. After approx 75 yds take the first lane on the left ( signed Stockton 2 miles ) and continue along to reach the canal bridge. Cross the bridge and go immediately left down a few steps and through gate, turning right to join the tow path. Stay on tow path with canal left and just before bridge 111 turn right off the tow path (beside the closed former Bridge Inn which is now a private dwelling ) to arrive at the main road. Go right along main road for a few yards then cross stile on right to grassy passage. Here you will see the first distinctive black Millennium Way waymarker which will guide you along this section of the walk. Continue down grassy passage into field and go with hedge left. Take corner stile and go with hedge left to field corner, then go right for 25 paces to take stile and plank bridge on left. Go ahead across field, aiming towards the tall chimney in the far distance, to reach hedge gap. (At certain times during the year these fields can be heavily ploughed and/or cropped so you might have to walk around the field edge or follow tractor tracks). Cross a track and go ahead across field to pass mid field power pole. Maintain line to come to ditch / plank bridge gap, with waypost, just to right of single tree. Here go diagonally 1/2 right across field to take gap by waypost and then follow the Millennium Way marker to go with hedge right to end of field. Stay in field and go left for 30 paces to take gap right. Go with hedge right and at hedge corner continue same line across field to take mid fence bridge. Go diagonally 1/2 right to take stile some 50 paces in from field corner. Go ahead across field towards mobile phone mast to go through large metal gate ( just to left of phone mast ) to vehicle track. Go ahead on track to pass cemetery and stay on the track, passing Stockton Parish Church, to reach the road. Continue left up School Street passing the school on left to reach post box. Here we leave The Millennium Way. Go past the post box and turn right into High Street passing The Crown Inn. Stay ahead then bear right at the junction, passing an old hand water pump on the corner to the end of High Street to meet the main road. Cross road into Elm Row and at the end where the road swings right into George Street stay straight ahead along surfaced track for approx 100 yards then stay ahead where track narrows through gap into large overgrown pasture. Go ahead with hedge left and where the path diverges bear left and go through gap ahead, then continue right with hedge right. After a few paces leave the track and turn right to stay along narrow footpath with metal railings on right. At the far end of the metal railings go through metal gate and continue past buildings to reach road by " Equestrian Farming Store." Go left past the store then turn left on main road signposted Rugby. 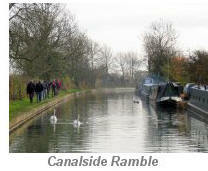 Stay gently uphill to cross first bridge then past The Paddocks on right and ahead to cross second bridge over canal. Immediately after crossing the bridge go right to join towpath then continue left along towpath with canal right. Here you have joined the Grand Union Canal. Proceeding along the towpath we pass Ventnor Farm Marina and from the bridge here you have lovely views to the north towards Rugby and Draycote Water. 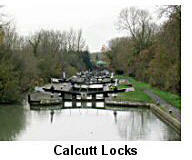 Leaving the sprawling Ventnor Farm Marina we come to the Calcutt flight of locks where the canal turns due south. On the right is Calcutt Marina where there is usually plenty of activity with many narrow boats coming and going. Continue on past the lock keeping canal right. After a short while you will have good views to your right of Napton Reservoir which is home to many species of bird life. Leaving the reservoir we eventually arrive at Napton Junction where The Grand Union Canal meets the Oxford Canal. Here we go under bridge 17 then immediately left to cross the same bridge and drop down pathway left on to the Oxford Canal towpath to go with canal left. ( There are some areas where erosion of the towpath has occurred making the path rather narrow in places, so take extra care through these sections, particularly in wet weather. ) Quite soon we pass Napton Marina on our left and reach bridge 109. Turn right immediately before bridge 109 to pass through a metal gate to reach the road. Turn left at road going over the canal bridge and continue down Tomlow Road to reach the main A425, where we turn right to arrive back at The Kings Head. Areas of blue lias clay, a raw material used in cement manufacture surround the village. The chimney of the now closed cement works can be seen for miles around. The church, built of brown and red sandstone, is dedicated to St Michael and all Angels. In 1824 the right to appoint the priest was bought by New College Oxford and the college still has a say in the appointment. Parts of the church were rebuilt starting around 1530. The oldest part is the south wall of the chancel (14th century), the tower may be 15th century. The most famous Stockton clergyman is Archdeacon Colley of Natal. He had a glass topped coffin. At one Sunday evening service, he startled his congregation by climbing into his coffin in all his robes and was carried around the church. 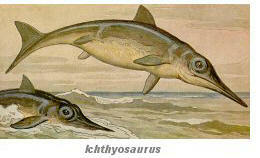 The reason for this was to demonstrate that he was not afraid of dying. The coffin was kept in his study and those who attended confirmation classes had to sit on it. Another of his ideas was the speakpipe. In the rectory garden there was an observatory against the wall. There was a pipe from this down to the road. The children would have to recite their lessons to him and if their answers were right, they were rewarded with apples, nuts or pennies. Large galvanised steel fences have been erected around the former deep quarry pits (known locally as ‘cally pits’) to prevent public entry. These are very unpopular with locals. The area around the canal between Calcutt locks and Napton junction has been extensively developed, with new marinas accommodating hundreds of narrowboats and a large boat hire operation. Napton Junction is the link between the Grand Union Canal and the southern section of the Oxford Canal. During the 1960s pleasure boating began to grow in popularity and replace the old trading boats, After a fact-finding cruise on the Oxford canal, Barbara Castle (then Minister for Transport) rejected a proposal for closure. The canal is now thriving. In the summer it is one of the most crowded canals on the network.